Glencadam is one of those Scotch whisky distilleries that has a fine reputation – if you can hear about it through all the noise that other distilleries are making about their own brands. Suffice to say, it’s a gentle highland distillery, whose single malt whiskies are well-liked. And, just as important these days, their whisky is said to represent very good value too. It would therefore be rude not to explore their range in full. 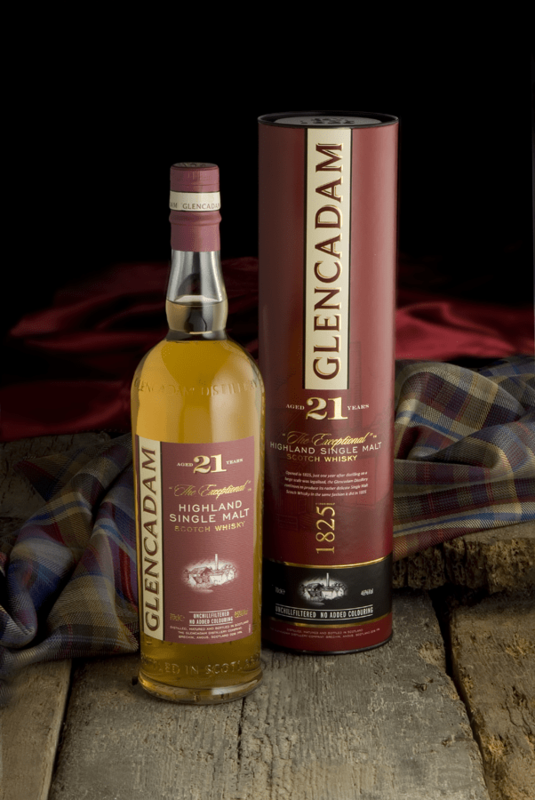 Glencadam meaning “valley of the wild goose” was founded in 1825 by George Cooper, which makes it pretty early off the mark as far as official distilleries go. 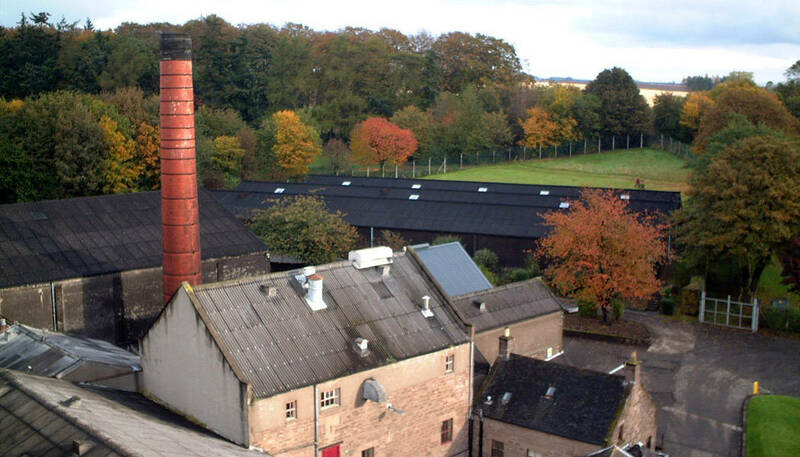 It was built just a couple of hundred yards up the road from the former North Port distillery, in Brechin, Angus. It changed hands many times before in 1954 being bought by Hiram Walker for what was then £83,400 – Hiram Walker was then acquired by Ballentine’s Allied Domecq two years later, but not before the place was thoroughly refurbished. The distillery was mothballed in 2000 (as well as both world wars, where the warehouses were used to barrack soldiers), but that didn’t last long. In fact, since 2003 it’s been owned by Angus Dundee plc, where a lot of its product gets used in blended whisky such as Ballantine’s and Stewart’s Cream of the Barley. Naturally, independent bottlers such as Gordon & MacPhail released its whiskies as well. Glencadam today remains pretty big, with a capacity of 1.5 million litres per year and is able to store 20,000 casks (mostly ex-bourbon) in its eleven warehouses. After an initial release in 2005, it was in 2009 that Angus Dundee properly relaunched the single malt line, and has been adding new expressions ever since. Colour: exceptionally light, white wine to pale straw. On the nose: very fresh. Classic notes of citrus, straw, grass – quite floral, once it settles, with a lovely minerality. Lemon meringue pie. Vanilla pods. In the mouth: all those aromas follow through on tasting. It’s very lively and spring-like. Hay barns, butter, lemons, a fraction briny, but not by much. Honey and vanilla custard, cashew nuts. In many respects there are plenty of whiskies that show these qualities, but there’s a nice, creamy texture here, and the underlying spirit feels well-crafted. Very nice for a 10 year old entry-level whisky. Superb stuff. 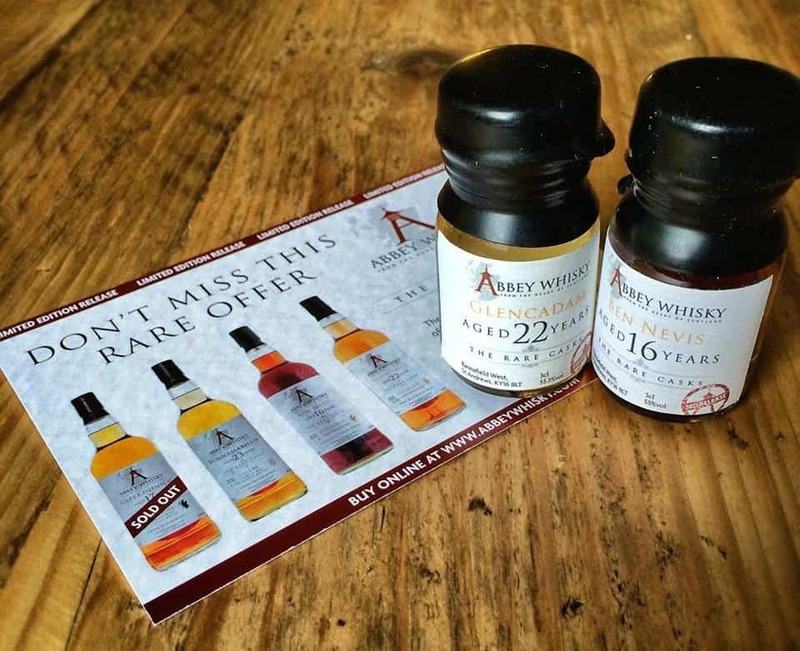 If you like the Aultmore 12 year old, you’ll like this. 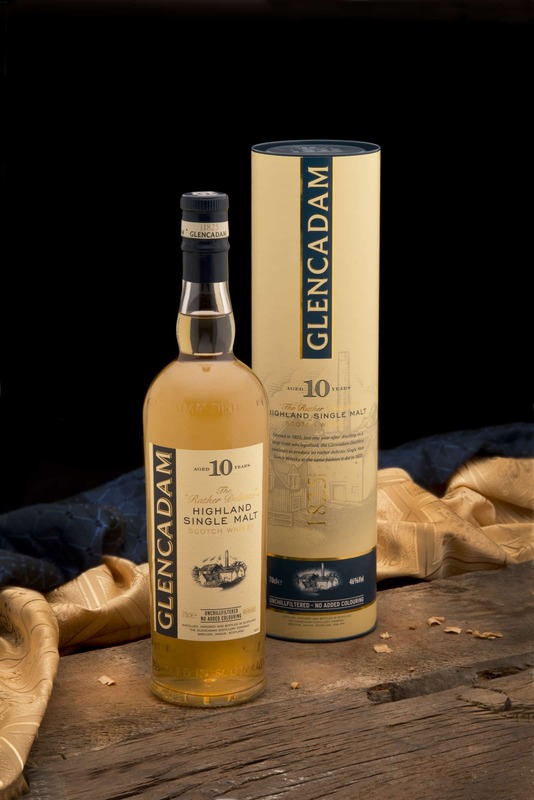 The Glencadam 10 Year Old costs about £35 – a bargain. Colour: old gold to amber. On the nose: much more calm and subtle, and you have to be patient. Certainly an evolution of the 10 year old, with the similar grassy notes and floral quality. Quite a bit more brine here, with a touch of fudge and caramel. In the mouth: gorgeous, mouth-watering stuff. Honey, toffee, vanilla. Fresh again, though it’s clearly more mature and understated. Mossy, and with a peppery warmth. With repeated tastings a maltiness comes to the fore. None of this is radical, but it all feels so well-balanced between the sweetness and the oak notes. It feels very old-fashioned, and I mean that as a compliment. It’s a traditional whisky that comes across with a lot of class. It comes in at under £50 a bottle too. Colour: amber. Still not all that dark for its age. On the nose: malty, with an almost Champagne-like yeastiness. Vanilla. Orange marmalade. Floral again – old roses. Toffee fudge. Salted caramel chocolate. The Glencadam 21 Year Old costs just under a hundred quid. Colour: deep gold. On the nose: very similar to the 21 in many respects, with a harmony of malt and sweet floral and fruitiness. The portwood finish doesn’t seem to make itself all that clear here, with just a touch of redcurrant and crabapple jelly distinguishing it from the others. In the mouth: oh lord, now that’s made a difference. It just gives something extra to the core flavours and it really stands out. It’s even more rounded and has a superb texture. Redcurrants, blackberries, orange marmalade, vanilla. A very autumnal twist on the core of malt and grassiness. A very long, warming finish. All in all it reminds me of the Dalmore 15 Years Old, which is a compliment in my book. Glencadam 12 Year Old Portwood Finish costs just under £50. Colour: old gold. On the nose: near perfect. The sherry influence seems to give an extra dimension to the underlying maltiness. Dried apricots and raisins begin to appear amongst the grass and freshly cut flowers. Peaches. A touch of grapefruit rather than citrus. Orange juice. In the mouth: that’s the one for me – the best of the lot. Sweet-sour balance is bang on. Needless to say that fine texture is also here, but just a little bit more than the others. Grape juice. Honey. Mead. Pears. Then the oak comes in, with ginger. Some qualities here remind me of a chardonnay – even some fruity Belgian beer. 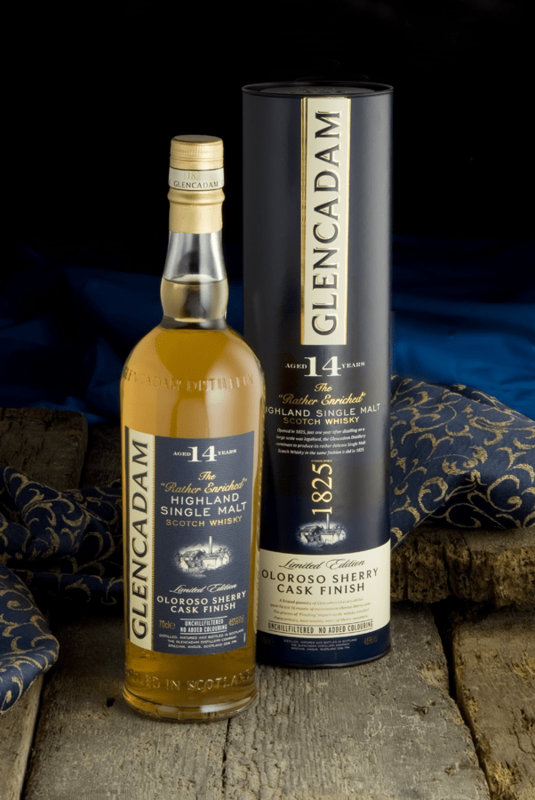 Glencadam 14 Year Old Oloroso Sherry Finish costs under £50. Pretty good distillery, this. Everything is tasty, with a couple being exceptional. The texture of the spirit throughout each of these bottles seems to be consistently velvety and mouth-watering. And the range is bottled at 46% ABV, which I think is a very good bottling strength. Though these whiskies are conservative in some respects compared to some contemporary release, I think it fits in nicely with the quiet, dignified branding. Glencadam is more your broadsheet-reading individual than some Vice-reading hipster. 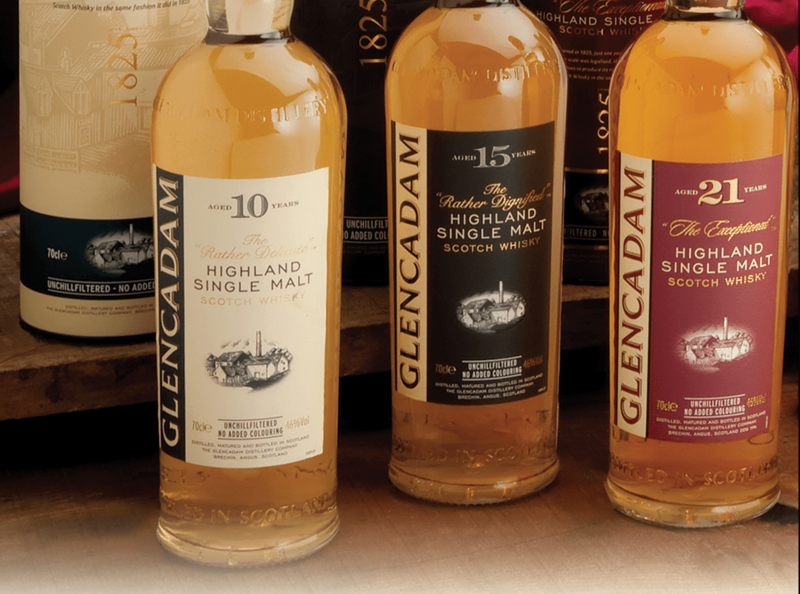 And best of all: I think Glencadam’s whiskies do represent very good value for money. If you’re looking for honest, classy whisky, without too much razzmatazz, then you should most definitely seek out some of their releases. You could even start with this tasting pack.